Condensed View displays a longer list with less detail for each moment. Expanded View displays more detail for each moment. Select the icon in the top right corner of any of these screens—Bookmarks, Highlights, or Notes—and your list toggles to “condensed” mode, showing you more of them at a time. If you want to see them in expanded view again, select the icon again, and it toggles back. 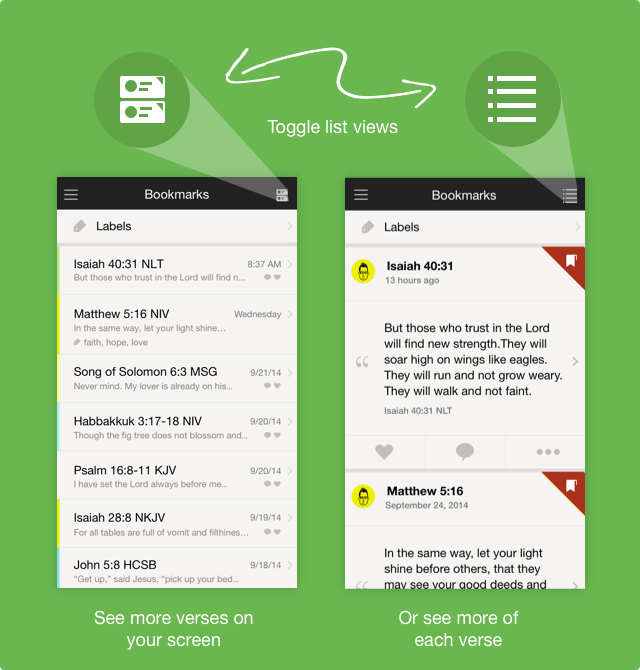 The Bible App remembers the last view you selected and defaults to it when you come back.